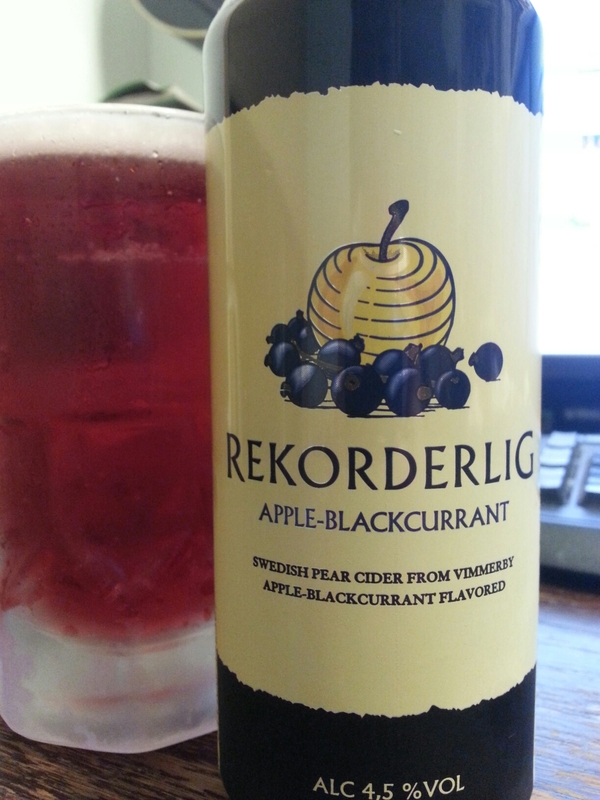 Rekorderlig Apple-Blackcurrant Cider (Sweden) | Justintoxicated. Ingredients: Carbonated water, pear- and apple wines, sugar, flavours, acid: citric, regulators, preservative, etc etc. Visual: apple, blackcurrant, and pear in a can, sounds good right? Pours clear light ruby red with a large dissipating bubbly head, ringed retention, lots of fast spread out streams. Finish: blackcurrant exhale, fruity finish.